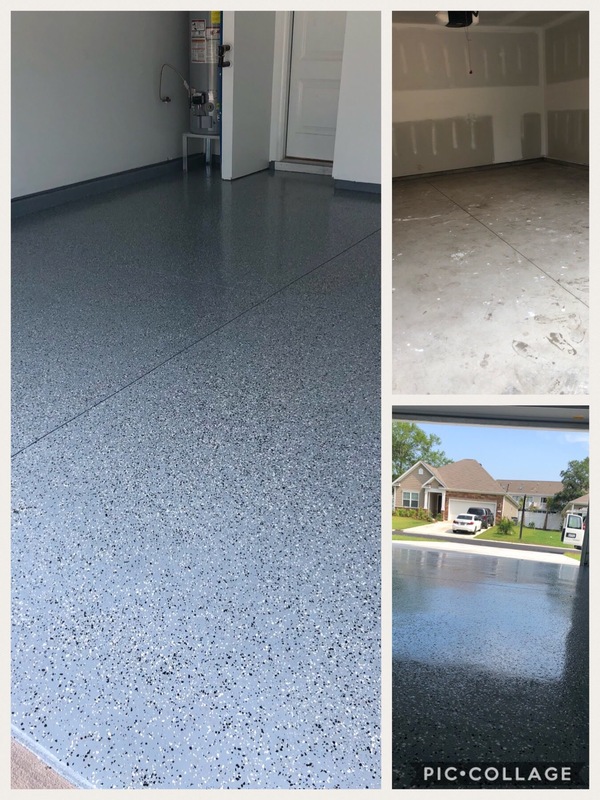 OLT Painting of Myrtle Beach is the company to contact if you want skilled professionals to apply the best epoxy flooring to refresh the look of your garage, basement or other areas of your home or business. 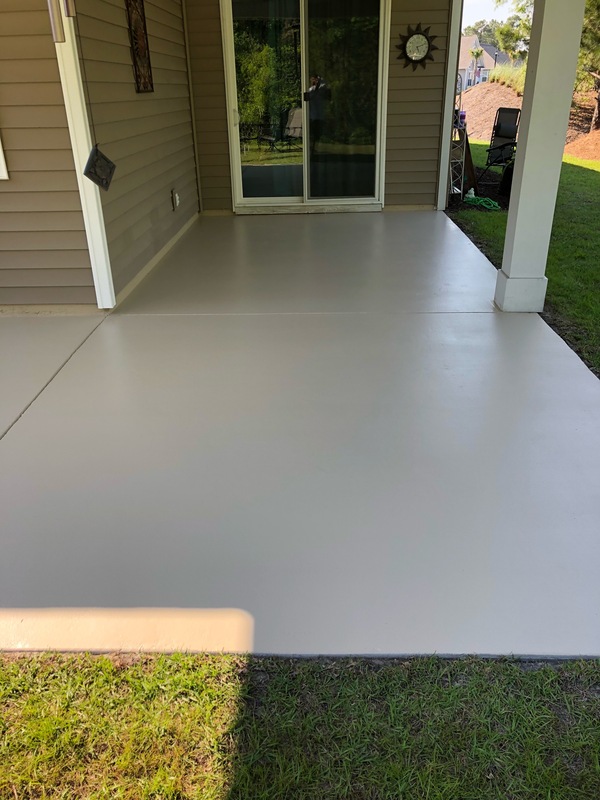 OLT Painting is a trained and experienced epoxy floor contractor serving the Myrtle Beach area, including North Myrtle Beach, Surfside Beach, Murrells Inlet and Pawleys Island. 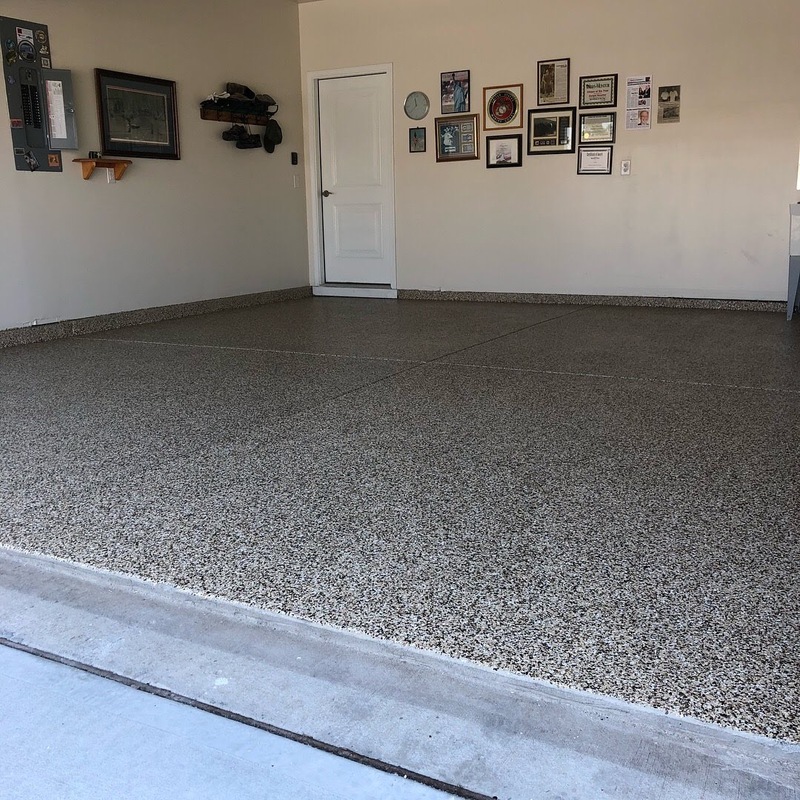 In your home a garage floor must withstand a lot of wear and tear. You park your car in the garage, some people do automotive work and some people use it as their work shop. 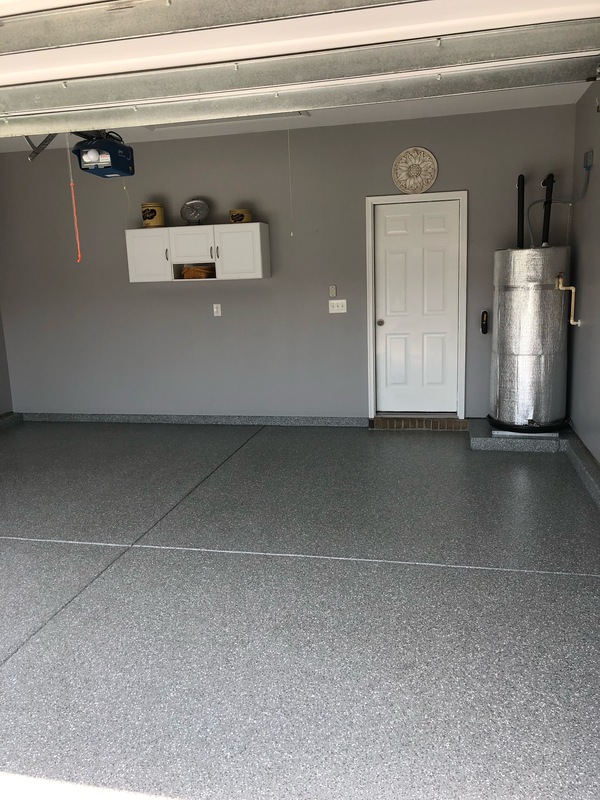 Because a garage floor is a heavy-traffic area it needs a high performance epoxy floor coating to look great for years to come. But it’s not just for residential garages. 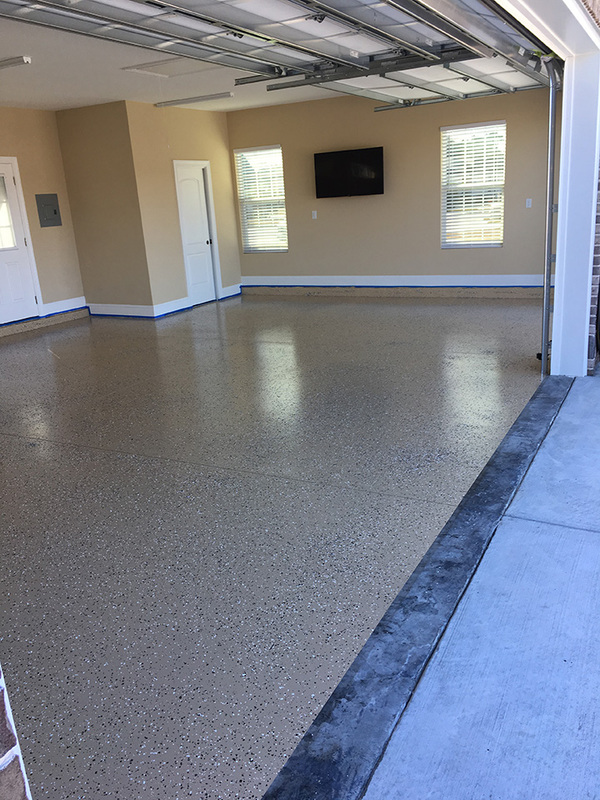 Epoxy flooring is great for all areas of your home, inside and out. Yes, it will look great in your garage, it also looks great on your basement floors. You may even think about putting it in your home office or kitchen instead of ceramic tiles or carpeting. Epoxy floors for homes is cost effective and will last for years. Do you have an existing outdoor patio? 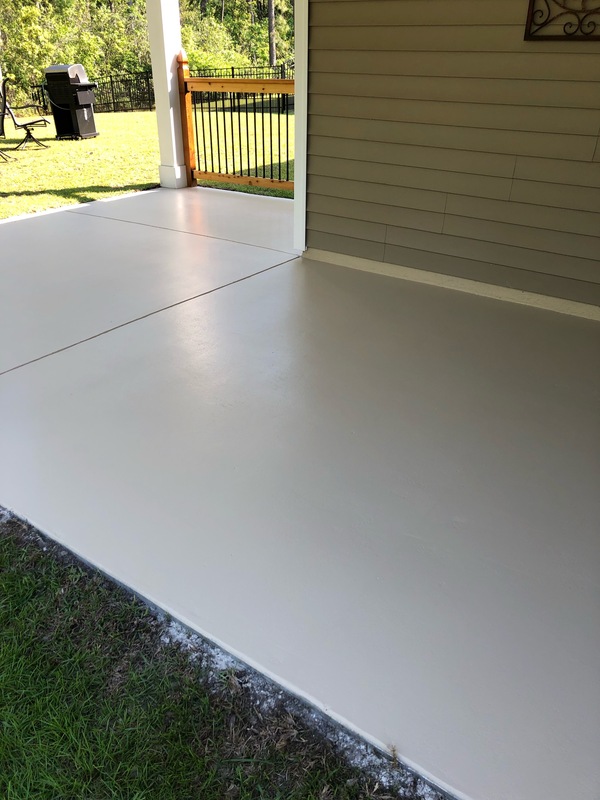 An epoxy floor coating over your concrete patio will enhance the design of your exterior and add years of maintenance free enjoyment for you. 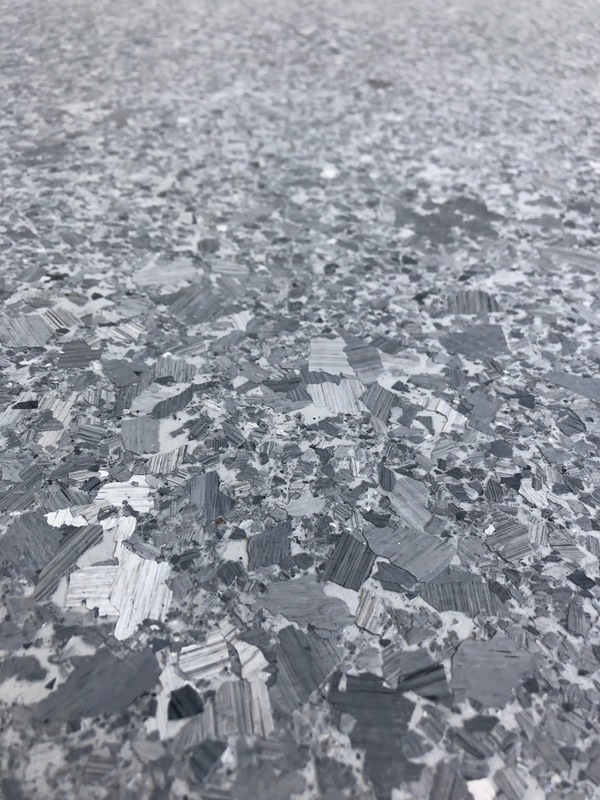 This is a floor covering that will weather the elements. When you need epoxy flooring that's durable as well as beautiful, contact OLT Painting. 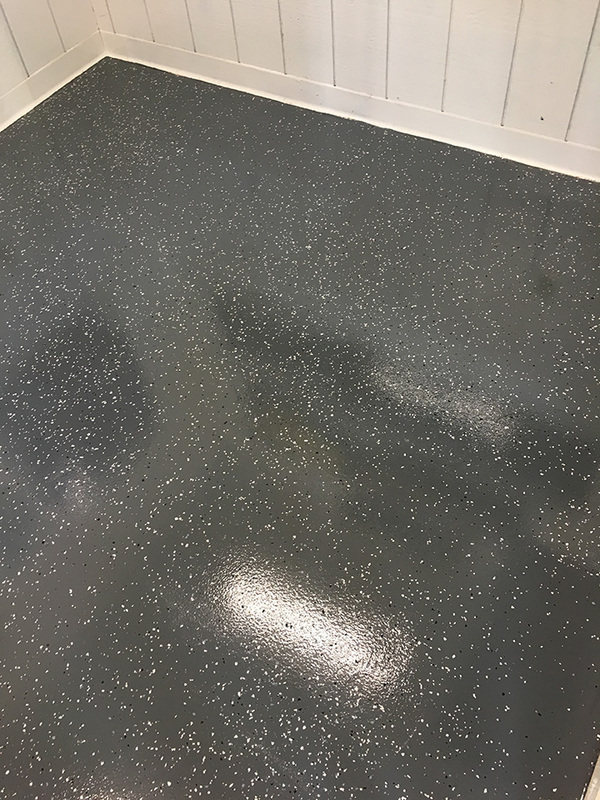 When you hire OLT Painting to apply an epoxy flooring in your home, you’ll get the same materials that we use in commercial settings. If it can last in an auto mechanics shop, it will definitely last in your garage or on your patio. Epoxy flooring is great in your home. 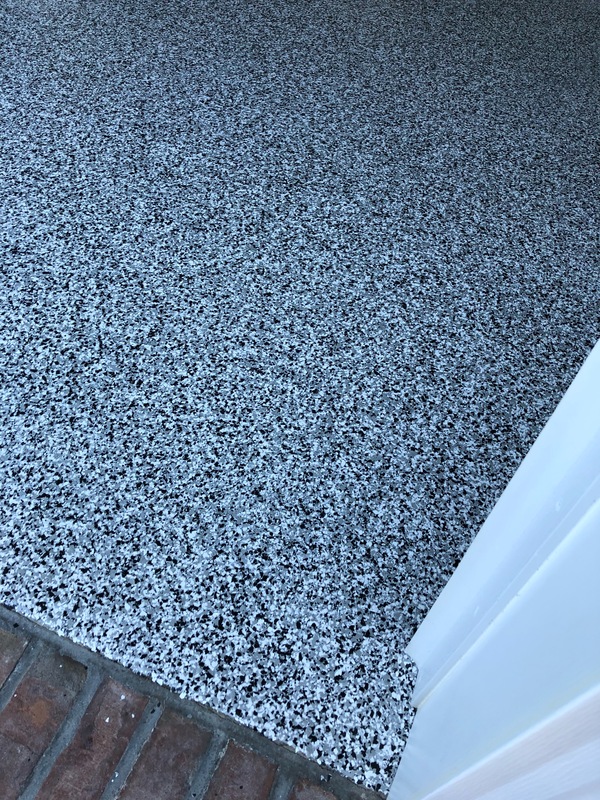 Not only for your garage floor, try it in your home office or your kitchen in place of tile, carpet or stained concrete. All of these floor coverings can be expensive, while epoxy flooring is relatively inexpensive. Epoxy floors are seamless and have a shine to them that can really increase the high end look of your room. 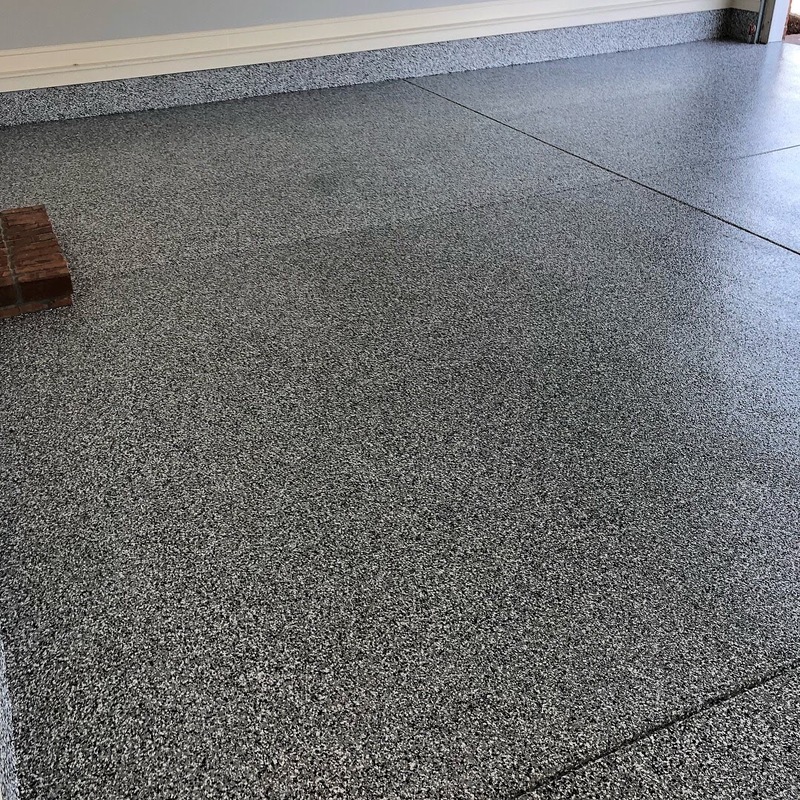 For a commercial or industrial business in the Myrtle Beach area, use an epoxy floor coating in the lobby of your office building, in your store or showroom, or the floor of your shop or warehouse. 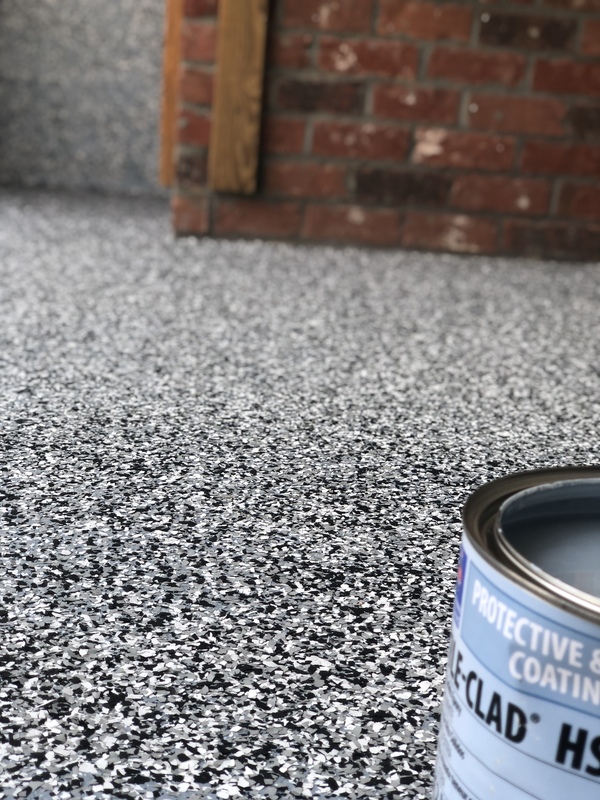 Epoxy flooring can be slippery when they get wet, so we advise using an additive that will stop the slipperiness, so your employees will feel confident when working and walking on the surface. 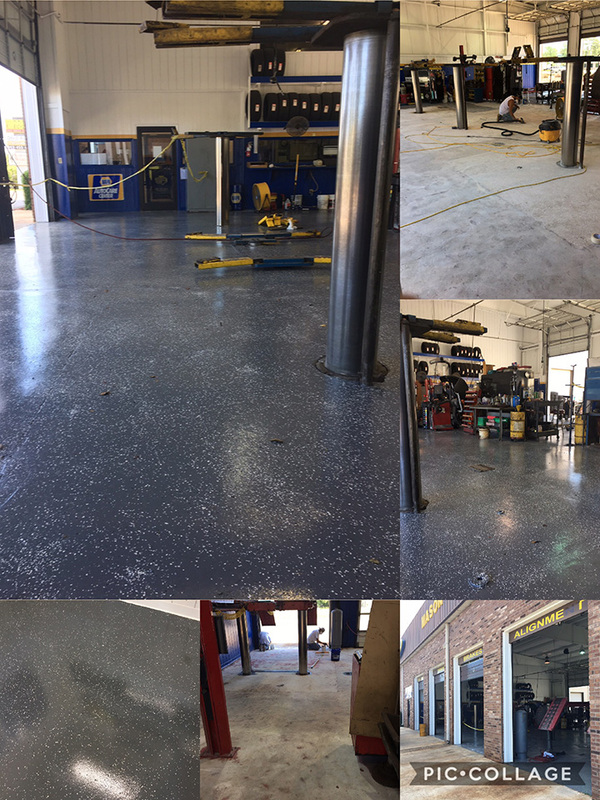 We have done numerous applications in auto shops, warehouses and retail stores all up and down the Grand Strand, including Surfside Beach, Myrtle Beach, North Myrtle Beach and Murrells Inlet. 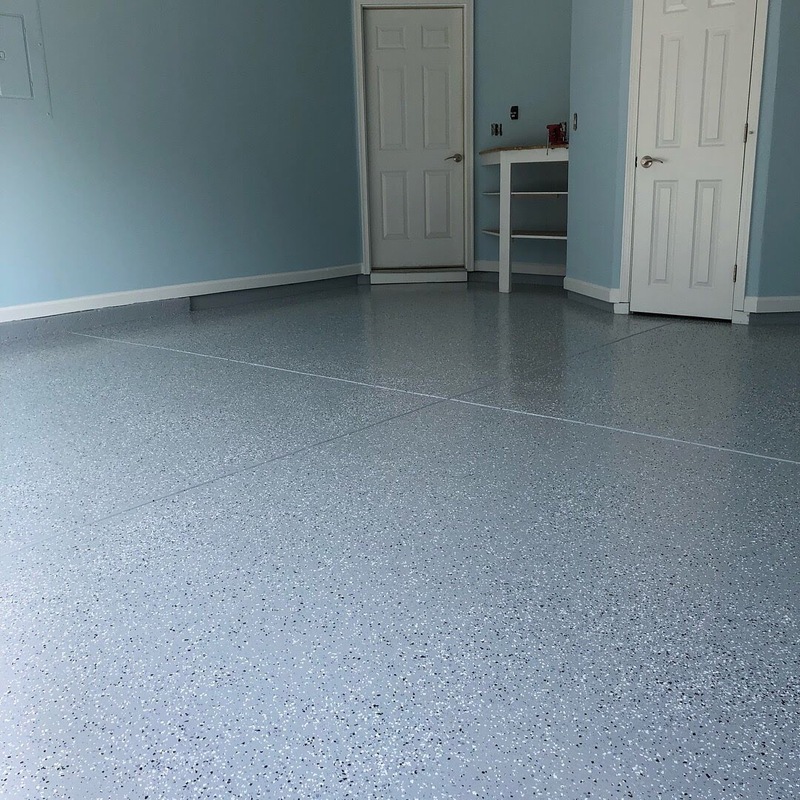 What are the benefits of choosing an epoxy flooring? 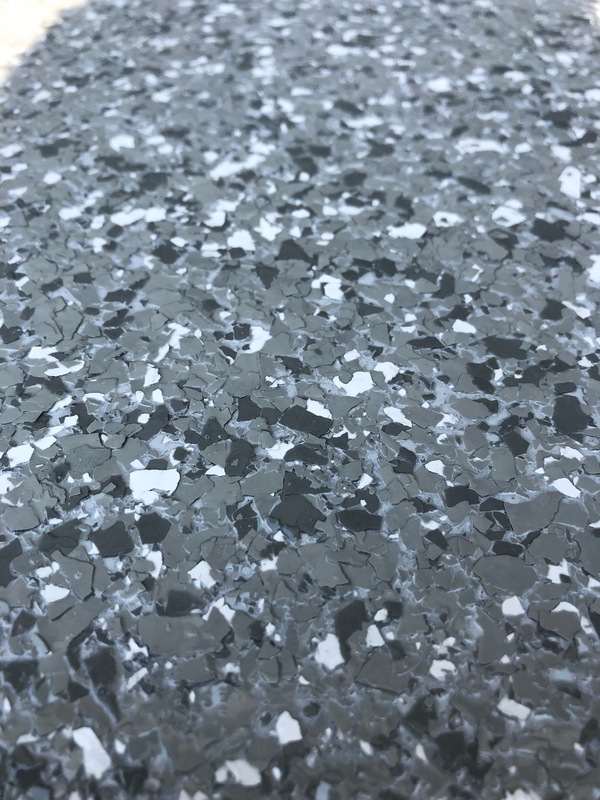 Well, to start with they have a longer lifespan compared to many other types of concrete floor coverings, such as stain and paint. They are bright and very easy to maintain. Since they are a smooth and even surface once the coating is applied, your floor will be very easy to clean. 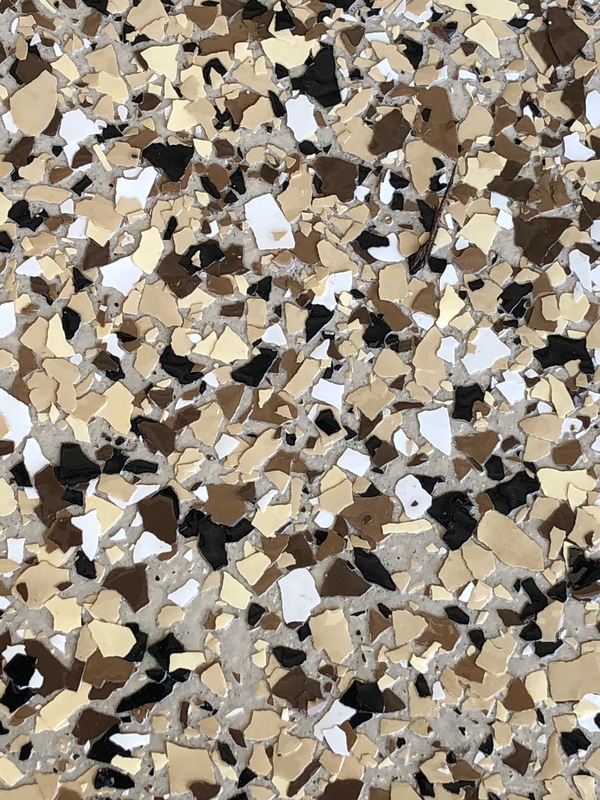 OLT Painting uses a highly durable Polyurea Polyaspartic coating system, which makes them much sturdier and more flexible than any other epoxy flooring available on the market. 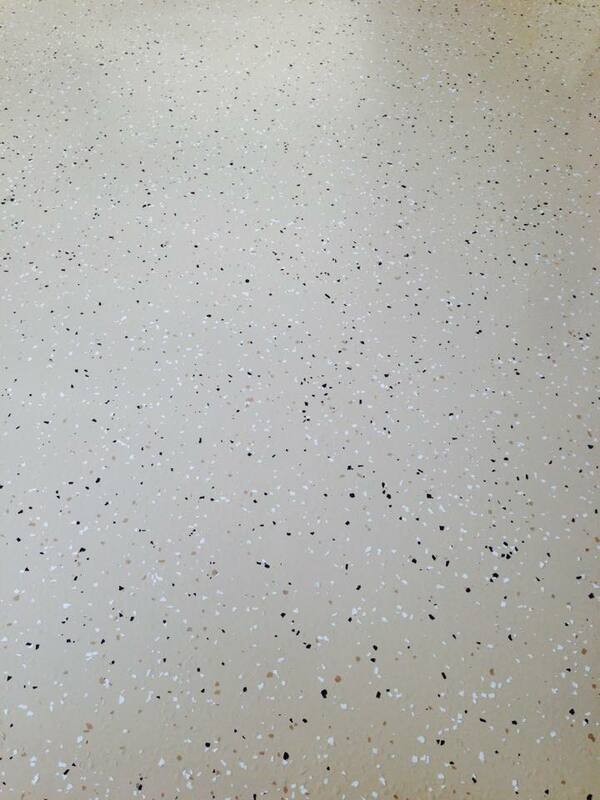 Our epoxy floor coating is far better than DIY coatings, which will usually peel and get damaged. 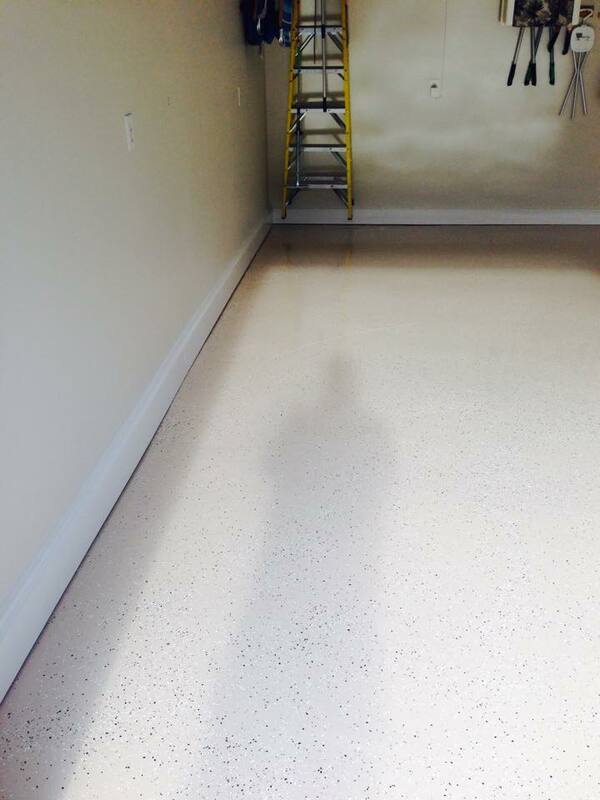 OLT Painting is one of the few highly trained contractors to install epoxy floors in the Myrtle Beach area. 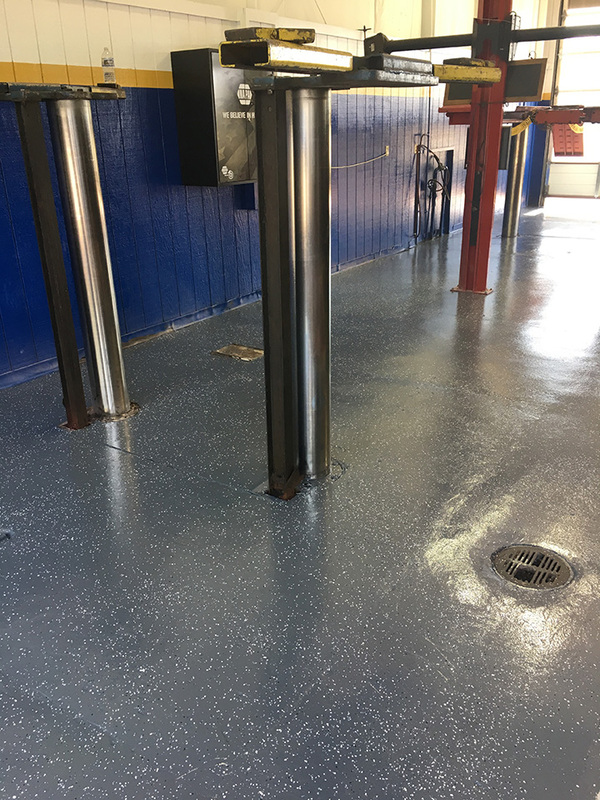 Epoxy floor coatings protect the underlying concrete and are impervious to high temperatures or accidental spills. They are not affected by UV rays, do not contain any harmful chemicals, like VOCs, and are eco-friendly. At OLT Painting we have mastered the art of applying epoxy floor coatings. 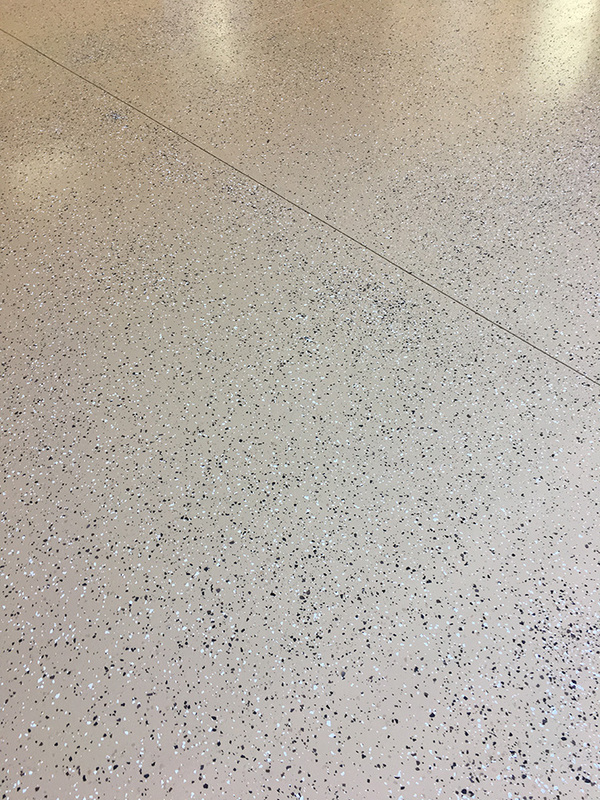 First, our trained technicians will grind the floors to get rid of any existing coatings that have failed or faded. This step is crucial in order to make the concrete porous to ensure the epoxy flooring will adhere to the concrete. We use a three step process. First a primer/body coat is applied to the surface with a brush and roller. Decorative flakes are then added. Then a clear coat is applied once the epoxy has dried. This clear coat provides protection against chips, stains and scratches. The process usually takes 1-3 days from start to finish. 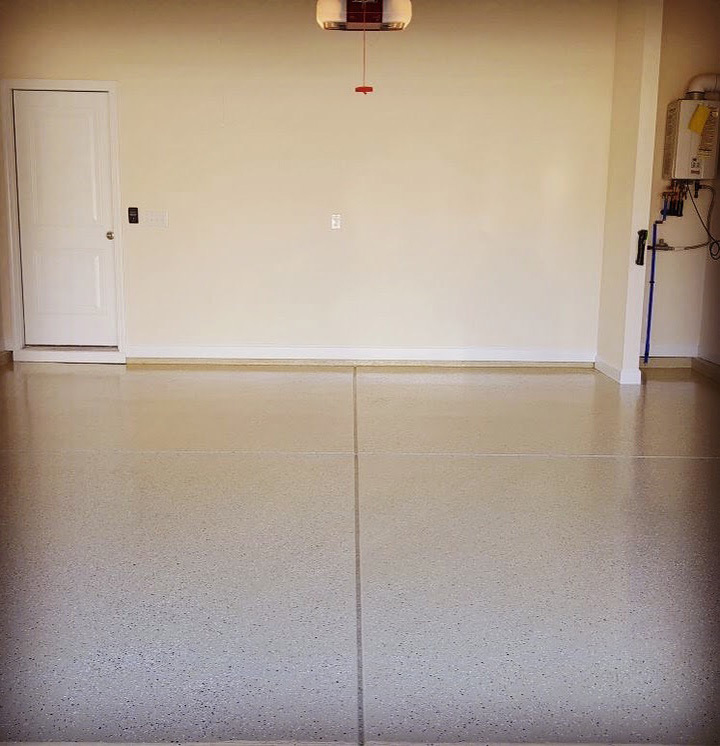 In Myrtle Beach epoxy flooring is available for residential, commercial and industrial floors. Is an Epoxy Floor expensive? People seem to think that epoxy flooring is expensive. At OLT Painting the price will depend on what type of covering is chosen and how much prep work needs to be done. 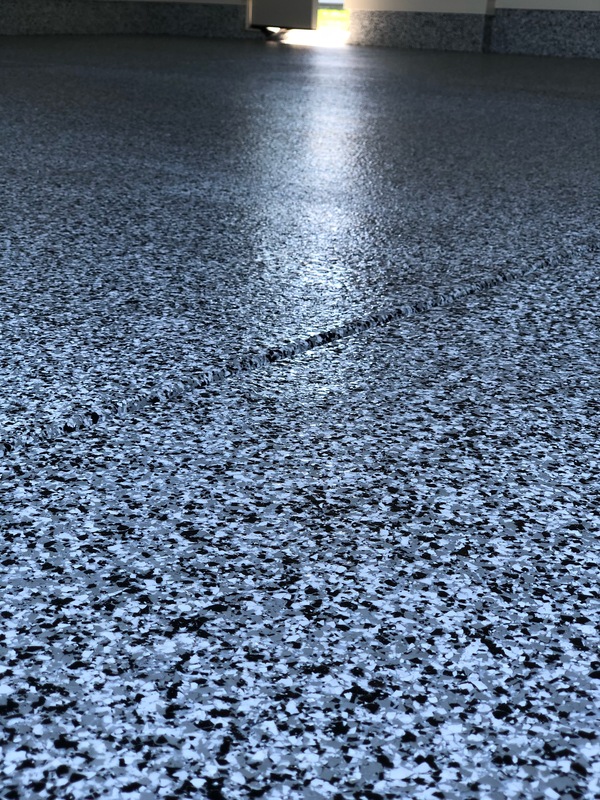 Typical epoxy floor coating costs run between $2.50 to $6.00 per square foot. The cost is roughly the same as installing a stain, tile or even carpet, if not less. 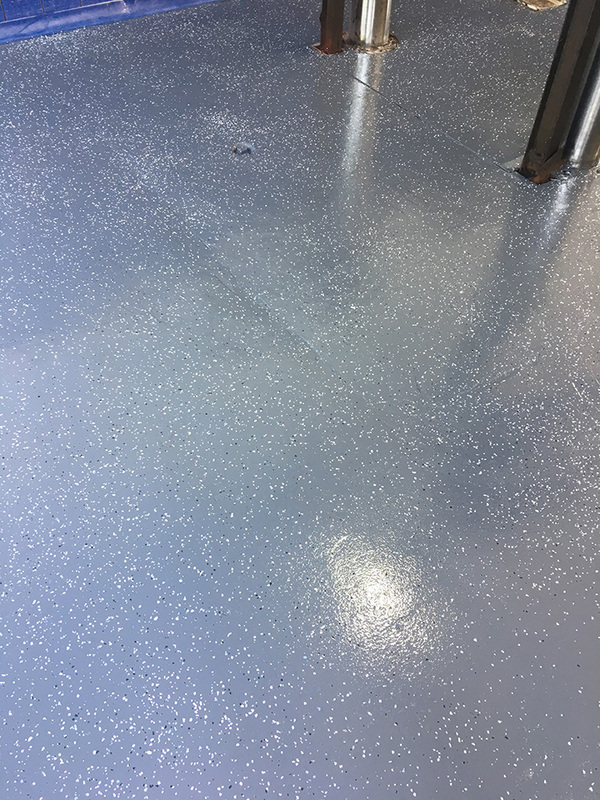 When you hire OLT Painting to apply your epoxy flooring in your home, you’ll get the same materials that we use in commercial settings. If it can last in an auto mechanics shop, it will definitely last in your garage. We also offer a FREE on-site consultation anywhere in the Myrtle Beach area. 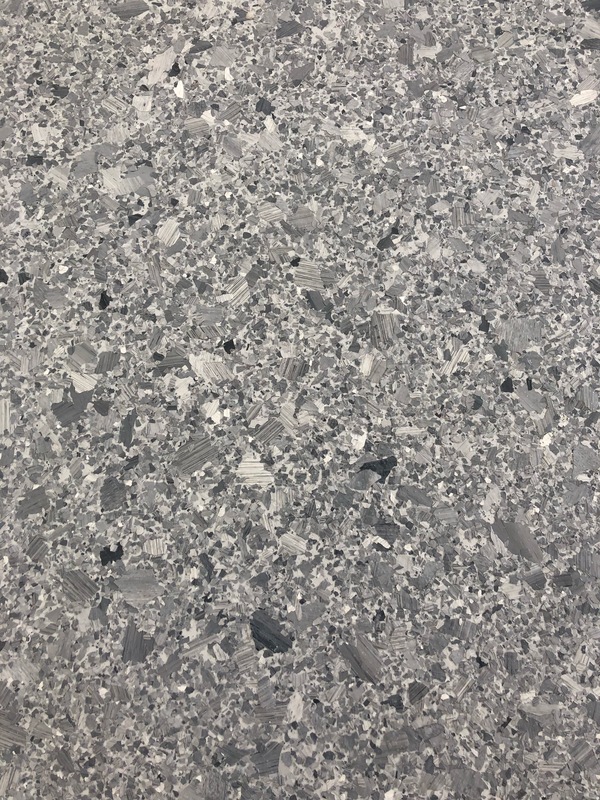 This is where you can look at the color charts, discuss with us the condition of your existing concrete floor and get an estimate. Call us if you’re in the Grand Strand area, we travel from Georgetown to Little River, SC. 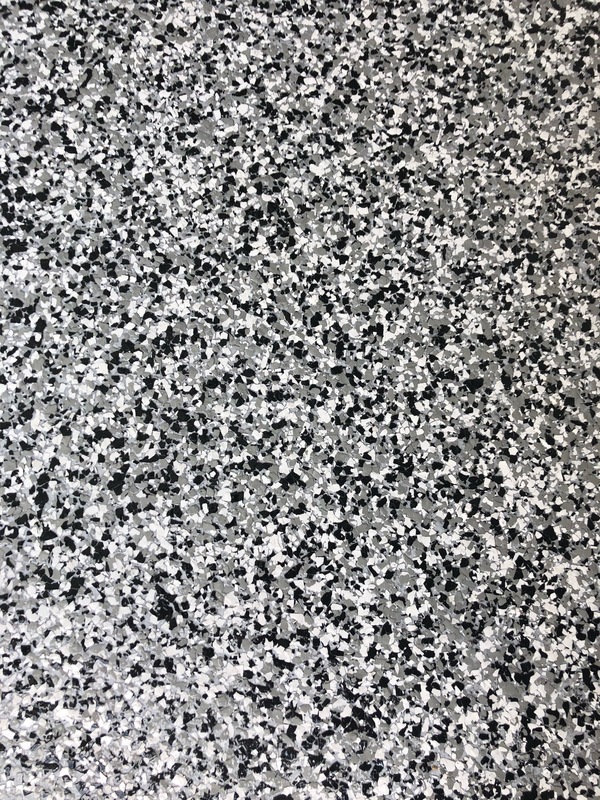 Currently we offer 64 epoxy floor color options. They come in a wide variety of solid colors or different size chips to make the look your own. We are now offering metallic finishes as well. If you are interested in a certain color or design, contact us and we will be happy to schedule a consultation with you. Epoxy flooring will last for years without showing wear and tear. It’s a smart and economical choice. Contact OLT Painting of Myrtle Beach today to set up a free, no obligation consultation. Read all the Google Reviews!